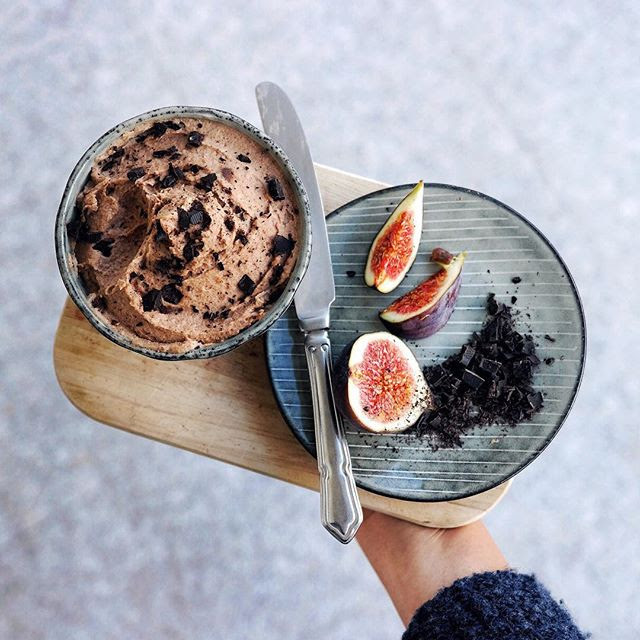 What's Trending this Week: Nut-Butter! We get it, sometimes grabbing a jar of pre-made nut butter seems way easier than making it at home. BUT, we did a little research and did you know that while a 16 ounce jar of Almond Butter can cost up to $18.99 (yikes! ), 1 pound of raw almonds (which will yield you with 16 ounces or slightly more of butter) costs only $7.99. Plus you get the added benefit of knowing exactly what's going into your butter! We found that while some brands were a lot cheaper than $18.99, they tended to include filler ingredients like Palm Fruit Oil and Evaporated Cane Juice. 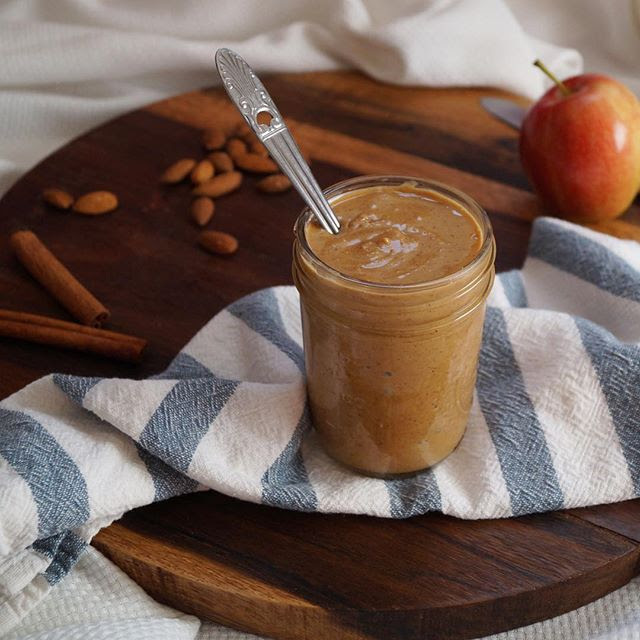 If cost alone doesn't convince you, we find the taste of homemade nut butters to be more appealing, too. In general it tastes much more fresh, and we like that you can play with the consistency making it as thick or thin as you'd like. Preheat over to 350˚ F. Spread almonds on a rimmed baking sheet and toast until fragrant, about 8-10 minutes. Set aside to cool. Add almonds to food processor (with metal blade) or vitamix and process for about 2 minutes. The almonds will start to look sort of like brown sugar. At this point add salt and oil one tablespoon at time, processing until the mixture becomes smooth, about 10-12 minutes. If you'd like the butter to be thinner, you can add more oil, a tablespoon at a time until you reach the desired consistency. Almonds not your thing? We've got recipes for all kinds of nut butters on our feed including cashew, hazelnut and even macadamia! 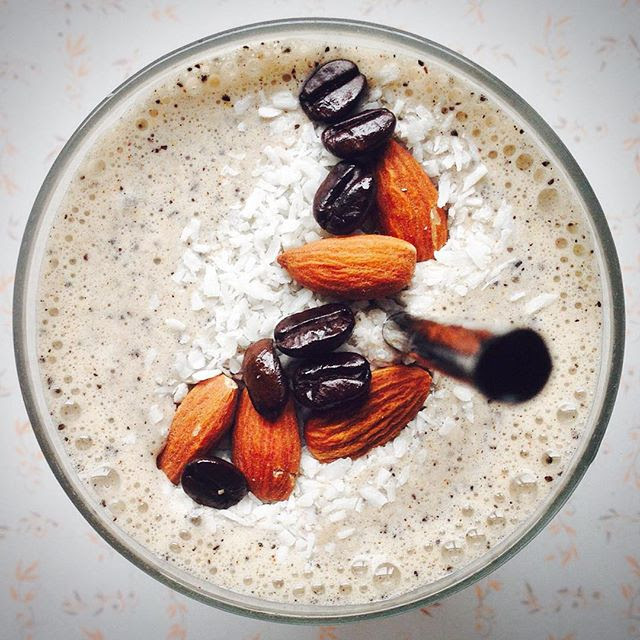 A delicious protein packed smoothie blended with coffee and almond butter. 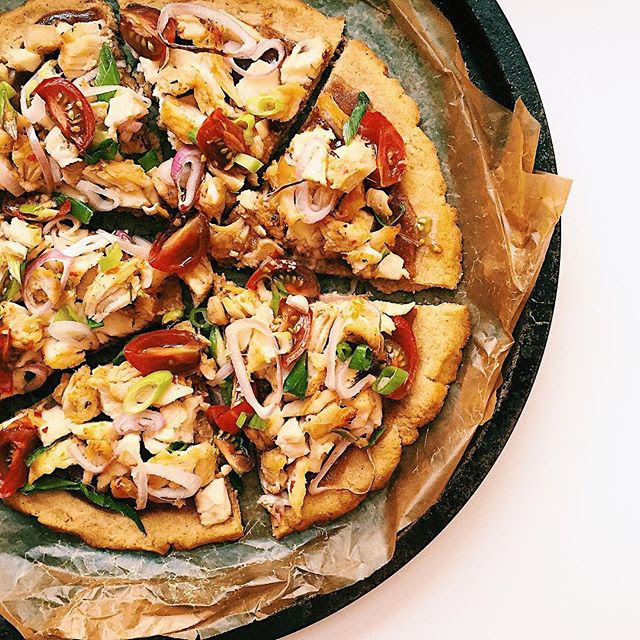 The perfect combination of sweet, savory & umami flavors in one pizza! Feel good about eating cookie dough! And you'd never know it's made from chickpeas! 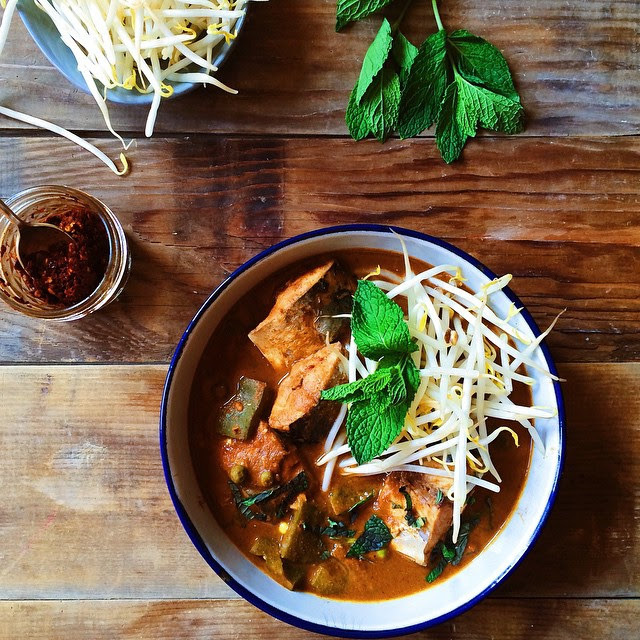 The almond butter adds richness to this fiery curry. A healthy (and addicting!) 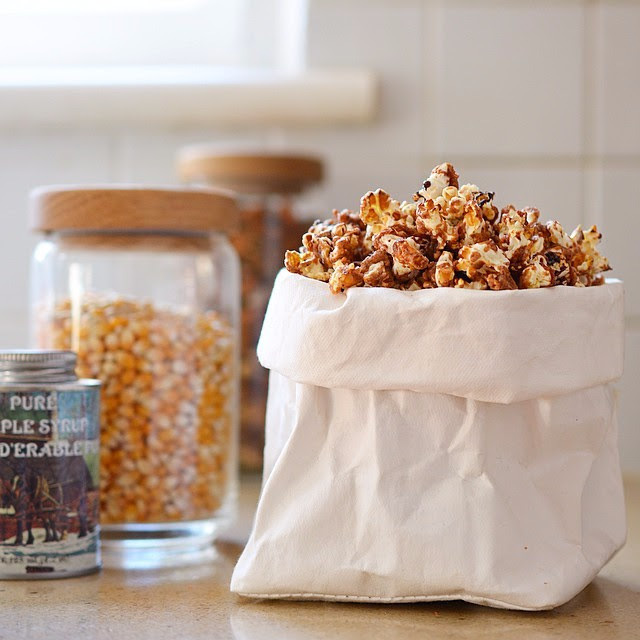 form of caramel corn. 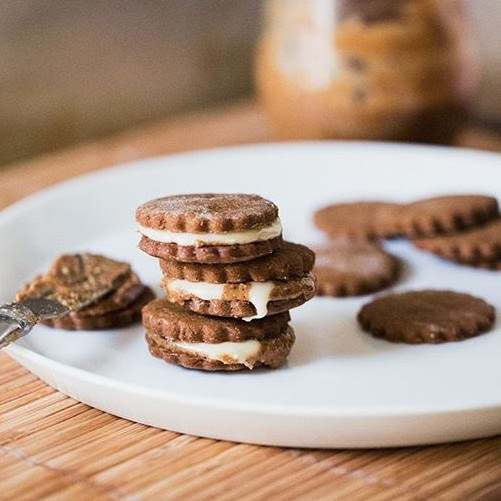 Who can resist fresh maple cream and almond butter sandwiched between sweet & spicy gingersnaps?